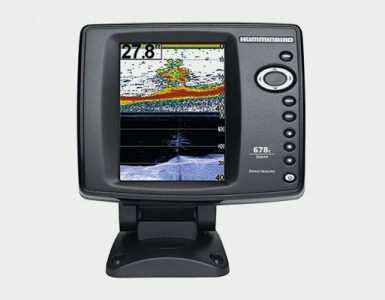 When deciding on the Humminbird Helix 7 SI or Humminbird Helix 7 DI fish finder, you want to find a unit that is accurate, easy to read, and easy to adjust. The humminbird fish finders have all of these qualities and then some. Specifically, the Helix 7 series SI and DI all have large screens that are easy to read in any conditions. In this article we will review the Chirp DI and Chirp SI models and compare them with some of the other models in the series. Hopefully this will help you find the right model for your needs. 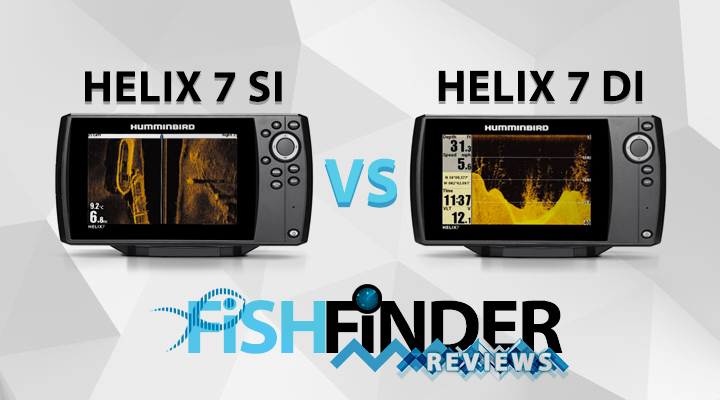 We find the Humminbird Helix 7 SI and Humminbird Helix 7 DI models to be quite impressive. The large, bright screen makes it easy to read in direct full sun. The sonar imaging makes them both quite thorough in determining fish location and size even at full speed. The only downside for these models is the lack of networking capability they have. There are other models out there that take it to the next level offering the ability to network with other units on the water. There are significant difference, but compared to other models available on the market the SI and DI are a solid value. This model is one of the most cost effective units on the market. 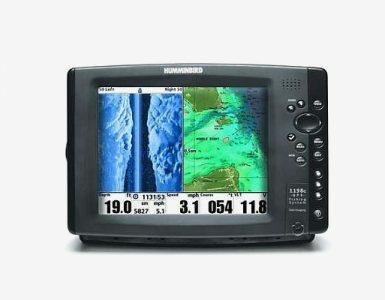 It is close to the top of the line for Humminbird but at half the price of comparable fish finders. The side/down imaging keeps up well because of the 2x increase in D-RAM. The Humminbird Helix 7 SI GPS is packaged with the XNT 9 SI 180 T transducer (also known as the Compact SI transducer). If you want the best possible image from your Helix 7, then we recommend exchanging it for the HDSI transducer. If you want depth highlight, casting rings, and water level offset features, the Lakemaster MicroSD card is best for this unit. However, you can use a Navonics Gold car if your region has limited coverage. The sonar on this unit is 83/200 kHz and it has a max depth of 1500/100 feet. It is also autochart capable. This means you can transfer your recordings to your computer and use the autochart software to create a custom map of your lake. You can view your sonar with the SwitchFire feature. This allows you to control how your sonar returns appear with the Clear and Max Modes. This model is quite a bit less expensive than the Helix 7 SI unit, but lacks a few features as well. It does not have side imaging, so your only view is straight down. 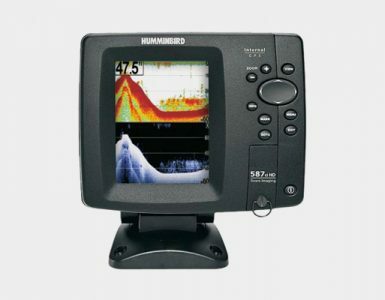 It is similar to the SI, but only has Humminbird Helix 7 DI and 2D sonar. The brightness and resolution of the screen help distinguish rocks, trees, and fish that a normal 2D sonar would miss. If you focus on fishing underwater structures, the Humminbird Helix 7 DI GPS will work well for you. This unit provides the XNT 9 DI T transducer which is transom mounted. If you wish to use it at your trolling motor, you will need to swap it out with the XTM 9 DI 25 T trolling motor mounted version. This provides mounting for the motor housing, and also has features that prevent additional noise. The sonar on this model is 200/455 kHz with a maximum depth of 600/350 feet. The internal GPS offers 2500 waypoints and 50 routes, so you can keep coming back to your favorite spots over and over. You can also add an optional 50 kHz transducer for extreme deepwater use and to obtain 1000 watts. With this transducer you can obtain the following frequencies along with a maximum depth of 2500 feet. The biggest differences between the various Helix 7 series models are the frequencies, mount type, and GPS options. As you move down in models, you also lose some of the depth capability that the higher models possess. The baseline 7 series is only a couple hundred dollars less than the top of the line models. Humminbird now also offers models with Bluetooth and Ethernet networking capability in this series, so you can truly get a top of the line fish finder. In the end, I have to judge these products by which would be the best value for my needs. I feel that the Humminbird Helix 7 SI version is the best value for my dollar. With the side imaging in this model, it is going to give you one of the most complete packages available. We find that the options provided on these models make them all a great value. No matter what your needs are or how serious you take your fishing, Humminbird offers a fish finder that will get the job done. Hopefully this article has helped you decide which one is the best fit for you.